It was five years ago on August 5th 2009 that Selvarasah Pathmanathan alias “KP” the chief of the Liberation Tigers of Tamil Eelam (LTTE) was captured in Malaysia and brought to Colombo in a well-planned operation amounting to an “extraordinary rendition”. KP who had served for many years as the chief arms procurer of the LTTE heading a tiger department known euphemistically as “overseas purchases” was discontinued from his post in 2002 after the Oslo facilitated ceasefire came into force. Tiger Supremo Velupillai Prabhakaran re-absorbed him into the movement years later and appointed KP as head of the LTTE’s newly created International relations department in January 2009. After the Mullivaaikkaal military debacle and Prabhakaran’s demise in May 2009 KP donned the mantle of LTTE leadership abroad as he was the senior most active tiger leader alive . This move was opposed by some sections of the overseas tigers led by Perinpanayagam Sivaparan alias Nediyavan. Shuttling between Thailand and Malaysia, KP, engaged in efforts to consolidate his “new” leadership. As a result he began meeting several members of the Tamil Diaspora in his capacity as global tiger chief. On Wednesday August 5th 2009 KP who was in Kuala Lumpur went around noon to the “First Tune Hotels” at 316 Jalan Tuanku Abdul Rahman road in the heart of KL city. His mission was to meet with two visitors from London, England. One of the British visitors was Balasingham Balendran alias Lucas, the younger brother of former tiger political commissar Balasingham Mahendran alias Nadesan. The other was Nadesan’s own son who had gone to London some years ago and was staying with his paternal uncle. The trio was engaged in amiable conversation when KP received a call on his cellular phone at about 2 pm. KP removed his glasses and laid it on a table and began chatting. At one point KP had signaled to Balendran and nephew that he was going out to the corridor to talk and went out with the telephone.The British visitors waited inside the room for about 15-20 minutes. Nadesan’s son then went out but could not see KP anywhere. Uncle and nephew then began searching for KP but the veteran tiger leader had vanished. This columnist was the first to break the news that KP had been seized in Malaysia on August 5th 2009 and taken to Sri Lanka on August 6th.A year later in 2010 I got an opportunity to conduct lengthy interviews over the telephone from Canada. KP candidly answered my questions. The interview was exclusively published for four successive weeks in the “Daily Mirror”. 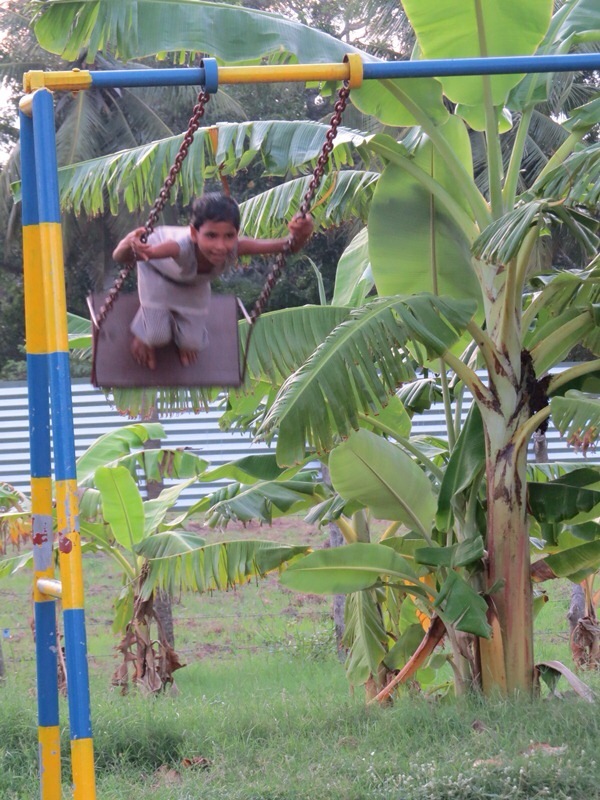 Last year I was in Sri Lanka after an absence of 25 years from the land of my birth. I had an opportunity then to meet KP in person and spend half a day at the “Sencholai” orphanage for girls at Iranaimadhu in Kilinochchi. 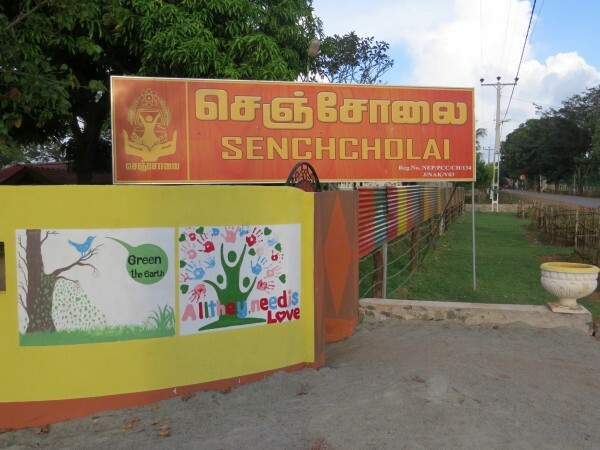 KP heading an NGO named NERDO(North –East Rehabilitation and Development Organization)is running “Sencholai” and two other such homes. 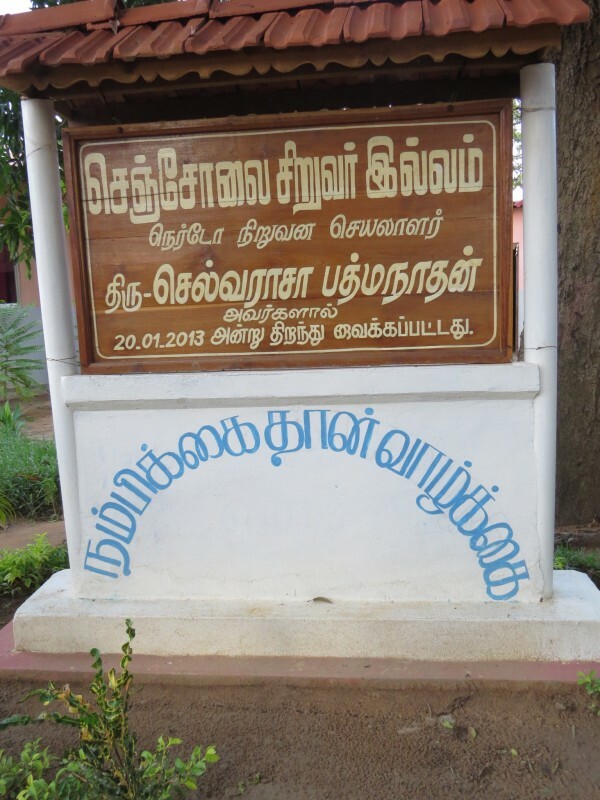 “Anbu Illam” boys home is in Muthaiyankaddu and “Bharathi Illam” girls home is in Mulliyawalai. KP the man who at one time shipped dangerous weapons and explosives to Sri Lanka is now actively involved in the worthwhile task of looking after children affected by the war. More than 300 children without both parents or with single parents are being housed in the three homes. The children love KP like a father and call him “Appa”.The transformation of KP is a success story for the Government of President Mahinda Rajapaksa. His brother and Defence Secretary Gotabhaya Rajapaksa deserves much credit for the bold, innovative manner in which the KP issue has been handled. Five years have passed since the capture of KP.In a bid to denote this fifth anniversary I am reproducing relevant excerpts from the extensive four part interview exclusively carried in the “Daily Mirror” four years ago. I believe the excerpts where KP talks of how he was captured and brought to Sri Lanka and his future plans throw much light on what happened then.They also focus on the interaction between the Defence secretary and ex-LTTE chief. Once again I emphasise that the excerpts are from old interviews in 2010 and not from a fresh new one in 2014. Q: Can you relate how you were caught and brought here? A: I was sitting in the Hotel room talking to former LTTE political commissar Nadesan’s brother and son who had come down from England to Malaysia. I then got a telephone call from Canada. It was Ragavan from the CMR radio . The reception was not good. So I excused myself and went out. I was taken to the immigration detention centre in KL and kept there for nearly 36 hours for about two days and a night. I had to sleep there in the detention centre room. I realised from their conversation that I was going to be officially deported. But I was not sure whether it was going to be Sri Lanka, India ,USA or somewhere else. Then I was taken to the KL airport where a Sri Lankan airlines plane was waiting. Then I knew I was going to Colombo. I was taken into the plane through the economy class entrance and then moved inside to the business class. There I was formally handed over to some Sri Lankan officials and brought to Colombo. Q: What happened when you arrived in Colombo? I’ve heard some stories about how you established rapport with the Defence secretary at your first meeting itself? A: During the flight to Colombo I had a long chat for about three hours with a Sri Lankan officer. He was very cordial. The way in which I was treated by the Lankan officers was very decent. That made me relaxed. But I was still worried in my heart about what would happen after reaching Sri Lanka. To be honest I was very concerned about the defence secy. The impression I had of him was that he was a tough talking Sinhala hardliner. So I was really dreading an encounter with him. But something happened when I was taken to the defence secretary’s residence. There was a Buddha statue there with a light shining at the back. For a few minutes I simply stood and gazed on the Buddha. My nerves got calmed by that. In Thailand I have gone to Buddhist temples frequently with my wife. In my house there are pictures of deities from all three religions including the Buddha. So somehow I felt that no great harm will come to me then. The defence secretary was seated with some other officials. He got up as I entered and shook hands with me and said “please sit down”. He introduced the others to me. Mr. Gotabhaya was very polite. He told me not to worry about anything. I don’t exactly remember what I then told him but it was something like this “I saw the Buddha statue near the entrance and felt safe and calm”. Q: Your reference to the Buddha statue incident will also be twisted by your critics within the Tamil Diaspora to portray you as a traitor praising the Buddha? A: I know .You are right but I am telling you what really happened. I don’t want to hide anything. I told about the Buddha statue to the nine member Tamil expatriate delegation that came to Sri Lanka last June also. Q: I understand your feelings. So how did your meeting with the Defence secretary go? A: Cakes and tea were served. The defence secretary said that they had tried to solve the problem peacefully but were compelled to wage full-fledged war. He said it was sad that finally all the LTTE leaders including Prabhakaran had to die in the war. He also had lots of information about the communications within the LTTE during the last days of war. He asked me some questions and I answered truthfully . When I didn’t know something I told him so instead of bluffing. He seemed satisfied with my response. I also told him clearly that the war was over for me a long time ago and that my only goal now was to help my people recover from the war and lead normal lives. I was really amazed by the attitude of the defence secretary. At one point I told him that the image I had of him when I saw TV interviews was that he was a tough hardliner and that his soft behaviour was a pleasant surprise. He laughed and said “I am really like this all the time. Some of these media people irritate me. That is why I get angry like that”. After a long conversation the defence secretary introduced a particular officer and said he was responsible for me. I was told that I could communicate with him on all matters and that I could send word through this officer to him if necessary. He then shook hands again and I was taken to a house in Colombo. So began a new chapter in my life. Q: Thank you for relating these details about these important events of the recent past. Your input provides fresh insight into these matters. But now I want to ask you about the present. Let me start with your relationship with this government particularly the Defence secretary Gotabhaya Rajapakse. You have already told me about your arrest and your first meeting with the defence secretary. It’s obvious that both of you have established good rapport. But there are lots of allegations about this. Several opposition leaders and sections of the media have alleged that there is some kind of shady deal in between . What do you have to say? A: My answer is just the truth. It really is a simple story…… There is no deal of any kind. There is only an understanding. A genuine understanding. Both of us have some common objectives. So we are working together to achieve those goals. That is our point of agreement. Nothing else. Q: Could you elaborate further please? What exactly is this meeting point? A: The war against the Liberation Tigers of Tamil Eelam (LTTE) is now over. The Defence secretary Mr.Gotabhaya Rajapakse who coordinated and planned the war effort is now engaged in a different role. The Defence secretary has to maintain peace and prevent any possible eruption of violence again. Both he and the Govt of President Mahinda Rajapakse realise that much has to be done to resolve the problems caused by the war. 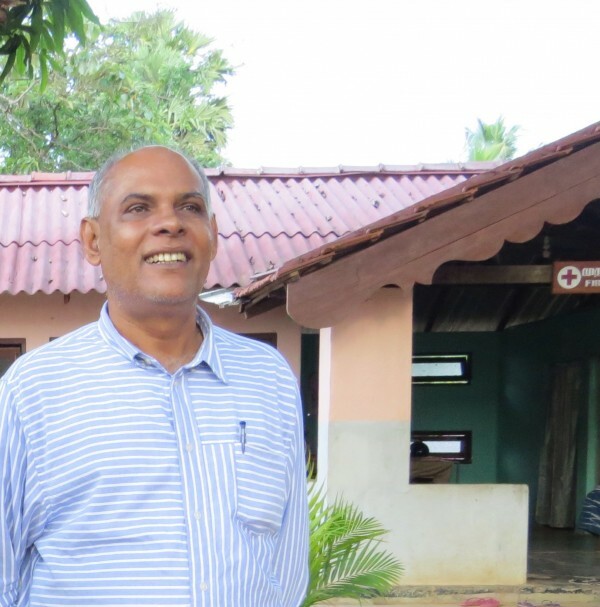 There are a large number of former LTTE cadres in custody. The Internally displaced persons (IDP) being re-settled have to be rehabilitated and normalcy restored. The President and his brothers want to address these issues. At the same time I am also concerned about these issues. I too want to see the boys and girls released as early as possible. I want them to be given a fresh start in life. I want the IDP returnees resettled and rehabilitated. So there is agreement between us in these matters. The Defence secretary has provided an opportunity for me to get involved in these matters to a certain extent and do what I can. This is our meeting point or area of agreement. Q: What is it that motivates you in this respect? A: I am perhaps the most senior among former tiger leaders today. I feel very very guilty when I see the tragic plight of the Tamil people today. I feel extremely sad and bad when I see the fate of these young people. I cannot deny that many of these children were forcibly recruited against their will. I also feel a lot of remorse when I see the civilians of the Wanni. They were prosperous once but are now in abject poverty due to the war. Because of this I want to do some penance at least by helping them as far as possible. Some months ago I got reliable confirmation that such an incident had really happened and that Prabhakaran had referred to me that way openly. This knowledge that the last task entrusted to me was to look after these people has strengthened my resolve in this respect. This is why I am motivated and I formed the North-East Rehabilitation and Development Organization(NERDO). It was formally registered on July 6th 2010. We have also been given security clearance to move about the north and east and have access to resettled IDP’s and rehabilitees. Q: If I may return to an earlier aspect. It does seem crystal clear that you are able to enjoy some freedom of action despite being a detenue only because of the special relationship you have with Mr. Gotabhaya Rajapakse. As you told me earlier there was no “deal” of any kind and that your meeting point is the mutual desire to achieve certain related pro-people goals. Could you explain the circumstances under which this rapport evolved and continues to evolve? A: Well I have already told you about how I was caught in Malaysia and brought to Colombo and how I met him for the first time. Thereafter at a subsequent meeting –the third one I believe- Mr. Gotabhaya asked me pointed questions about what I felt about the whole situation and what I wanted to do in the future. I then told him very clearly that the war was over for me and that I fully realised that reviving an armed struggle for Eelam was out of the question. I told him that I feel very guilty about the plight of our people and that if given a chance I would like to help them in some small way at least as some form of penance. Then the defence secretary said that he too wanted to ensure the speedy release and resettlement of IDP’s and rehabilitation of ex-tiger cadres. He said he required some reliable people to help expedite matters in this regard. He asked me whether I would like to help him in this process .I said yes. Some days later I was informed that my request had been discussed in detail by the defence secretary and that a favourable decision was reached. Thereafter I was given some autonomy of action to participate in the process. Q: Your plans are impressive but do you have the resources to implement them? A: No, not yet but we are in an embryonic stage. In the first place we must also be realistic enough to recognize that our people have gone back decades and decades in development. For instance our Railway line is not there in the north. Our community was proud of our educational tradition. Today our schools are destroyed and students are squatting under trees for classes. 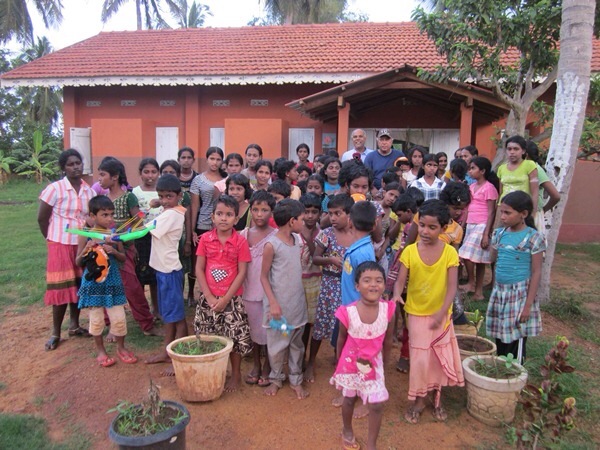 A large number of children are not attending school due to poverty and lack of uniforms, footwear and text books. We are commissioning a survey of this situation. But as our plans unfold and people get the message we hope to get lots of help and aid from our fellow Tamils from abroad. Already some qualified expatriates have agreed to come over and provide their academic and professional expertise on a voluntary basis. A few have promised financial assistance for special projects. I am confident that NERDO will gradually perform well with the help of our people. Q: The problem is that a vociferous section of the Tamil Diaspora with great access to the media is conducting a vicious campaign against you and NERDO. They accuse you of being a govt stooge and that NERDO is a ruse to attract Tamil expatriate money from abroad and siphon it off to govt coffers. In such a hostile climate how do you hope to succeed? What I am confident about and relying on is “sathiyam” (Truth). Firstly we hope to publish all details about our projects and expenses and accounts of money received and spent on our website in addition to providing receipts. We will also answer all genuine queries. As more and more people see that we are open and transparent about these things the false propaganda wont be able to sustain itself. Secondly we are also optimistic that the recipients of our aid and assistance will inform their friends and relatives abroad of the actual situation. When these people provide factual details about our genuine efforts those spreading false information will be exposed. Thirdly we will encourage Diaspora members to visit Sri Lanka and see the situation themselves. We are ready to help them see things first-hand and arrive at their own conclusions. We have nothing to hide. NERDO is prepared to even assist people to travel to the north and east if they contact us. We are even thinking of stationing a NERDO representative at the Katunayake airport if necessary. So gradually the truth will triumph and NERDO will succeed. Q: I can see that you are an optimist. I saw a video clip of your meeting with some rehabilitees where you say “Nambikkai Thaan Vaalkkai” (Hope is life). I understand your mindset but do you think you can succeed against such formidable odds? A: When I was given the task of overseas procurement (arms acquisition) by Prabhakaran in 1983 I was an utter novice. I came from a very common background. My father was politically conscious but was an ordinary fisherman.I did not study in elite schools. My English knowledge was weak. I had never travelled outside Sri Lanka and India. The LTTE was a fledgling organization without any important contacts in the arms trade. If I could succeed then in a task which caused death and destruction why cant I succeed in this new task where my objective is to help people and re-build lives instead of destroying people and lives as in the past? Q: I don’t want to sound discouraging. I also do not dispute your ability and talent but the biggest difference here is that you are in custody and not a free man. Unlike earlier times you cannot move about freely to do things. Also you are older now and not in good health. Besides there is a fanatical lobby actively working against you. That is why I am doubtful. A: You have a point but I do feel I will succeed. Yes it is frustrating to be detained and having to do attend to things by telephone, fax, skype and internet instead of being able to go to the places directly. I know that if I am on the spot I can get things done faster and better but then I have to face reality. I think to myself I may be under detention but at least I have this opportunity to do something worthwhile for people. Now this is my third big task. In this my mission and vision is to help people. I am neither trying to arm a movement or trying to save it. This time I am engaged in a noble, worthy task of helping people to re-build lives. So I will definitely succeed. Q: Some people say the govt is simply using you and will discard you later. What do you think? A: I work in hope and trust and faith. I don’t think that will happen. But for argument’s sake let’s say it happens. Even then I would have succeeded in helping some people at least as I am doing now. That’s enough for me. Q: We have spoken for a long time. There are so many things to talk about. Maybe we can talk on another occasion. But before we conclude do you have any special message to Sri Lankans in general and the Tamil people in particular? A: Thank you for conducting this conversation by telephone from far off Canada. We must do this again soon where I would be able to tell you of how much NERDO has achieved. The second is to all my fellow Sri Lankans. We of the LTTE and other militant groups commenced an armed struggle to win back our lost rights. We thought Tamil Eelam was the answer and that the end will justify the means. In the course of our armed struggle we have caused much harm and misery to the people of Sri Lanka. We have violated all norms of civilized conduct at times. When I reflect on the past I am appalled by what has happened. As a senior leader or ex –leader of the LTTE I sincerely beg the forgiveness of all Sri Lankans for this. Please pardon us and help us to forge a bright future for all Sri Lankans. A: Thank you again for this interview and your wishes. “Hope is life”.